Dr. Deanna Cozart started her work in OER as a Limited-Term Assistant Professor of Educational Theory and Practice, where she received a Round One ALG Textbook Transformation Grant to replace her EDUC 2120 course textbook with open and free materials, along with library resources, working with instructional designer Amy Ingalls. The project saved students an estimated $54,000 per year. After this project, Dr. Cozart quickly became a point-of-contact for OER implementation. She became the Project Lead for a larger department-wide EDUC 2110 and EDUC 2120 implementation in Round Two saving students an estimated $290,000 annually. In 2015, Dr. Cozart was appointed the Open Educational Resources Coordinator at The University of Georgia’s Center for Teaching and Learning (CTL). As OER Coordinator, Dr. Cozart promotes the implementation of OER in the classroom through assistance with course redesigns, grants, and one-on-one consultations. She also creates instructional webpages on OER for the CTL. 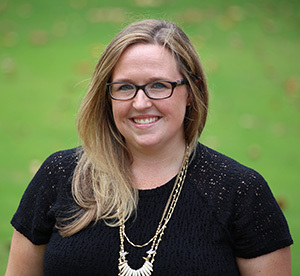 Recently, Dr. Cozart was awarded an OER Research Fellowship through the Open Education Group, where she will be working on in-depth research on OER within the group’s research framework.